The line between North and South Korea is one of the most nerve-wracking borders on Earth. Although the Korean War is technically over for the U.S., the North and South are still very much at war — maintaining guard towers and thousands of troops facing each other, waiting for the next invasion. 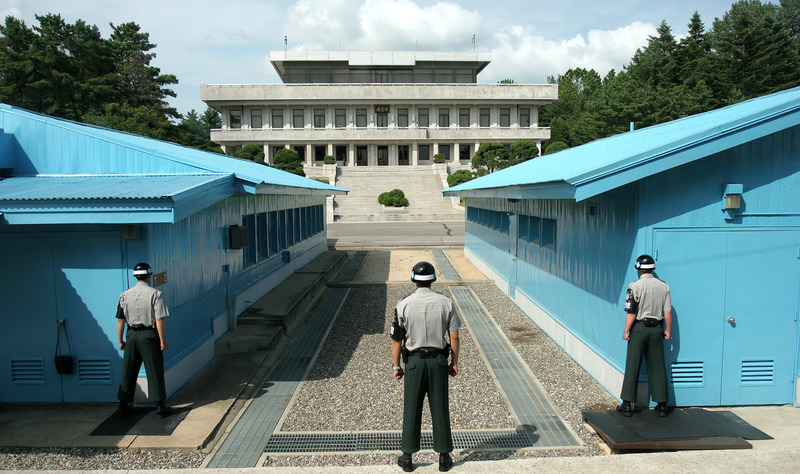 The buffer zone created by the 1953 Armistice between North and South is called the de-militarized zone (DMZ), although there’s a huge military presence. The border, 250 km long, is filled with fencing, mines, and troops on both sides with itchy trigger fingers.